A career in the field of education is not typically considered the path to a quick and easy fortune. When it comes to career growth, this field is very diverse because the core mission of education requires the collaboration of experts in various fields with support from ancillary staff. Contrary to popular notion, some jobs in the field of education can be financially rewarding. Most of these jobs require years of experience, a slew of credentials and a stringent vetting process. The head honcho of colleges and universities may bear the title of chancellor, president or provost, depending on the size of the institution. In most cases, the position requires completion of a doctorate with emphasis on executive academic leadership. The pay can range from the low $100,000 for smaller campuses up to $3 million for the rare few whose tenure can be characterized by positive benchmarks including increased enrollments, robust endowments and growing capital funds from other sources. The competition can be very tough for these positions as job openings are rare. At 5 percent expected job growth, the outlook is below average compared to similar positions in other industries. In postsecondary institutions, the academic dean is the head of school or college. This position requires expertise in the college’s specific field of specialization. A master’s degree, a doctorate in the field or related area of study and years of tenured professorship are the typical requirements for job candidates. Academic deans guide academic and student services and oversee research initiatives at their colleges. The average annual compensation for an academic dean hovers around $83,000. Job growth for the next 10 years leans toward 20 percent with most of the expansion coming from new course offerings by postsecondary schools to meet the demands of a knowledge-based economy. Class instruction for aspiring lawyers is an employment opportunity for lawyers with the right credentials that would include a doctorate in the field, years of practice and some teaching experience. Adjunct positions may be open to those with a master’s degree. In larger universities, the pay scale for law professors is in the low $100,000. In junior colleges, compensation averages $67,990. Competition for this job can be stiff with the number of available lawyers increasing faster than available jobs. The prerequisites for a teaching position in an academic institution preparing would-be doctors, nurses and other health professions are very stringent. A degree in medicine or a doctorate in a relevant field, years of actual practice and instructional experience are a must for professors in the health care field. The compensation for these instructors average $103,340 a year. The prospects for job growth are excellent and expected to reach 17 to 20 percent because of the needs of an aging population and changes brought about by health care reforms. Teaching engineering principles and applications in an academic institution specializing in this area requires a master’s degree at the very least. Experience in research and manufacturing is an advantage as students gain an insight on the industry outlook. Aside from teaching, engineering professors may also be asked to participate in research projects. Annual wages can top $100,000 in top-tier universities with the pay rate scaled down for junior colleges and trade schools. The outlook is bright for engineering professors as enrollment in science, technology and engineering courses continue to grow. Experts in economic theories including production and distribution of goods and services can engage in research and teach at the same time. Instructors of economics and politics will usually have experience as analysts, researchers or policy makers. The depth of their experience in the field coupled with advanced degrees will command an average compensation of $89,540 per year. The best positions in this field will go to those with the finest credentials. Competition is expected to be tight for open positions as job growth will be slower than average at about 6 percent. To complete the admissions and registration process in postsecondary schools, students need the assistance of front-office staff. The registrar and financial aid counselors will provide information and guide registrants through the maze of paperwork. They will also link students with aid sources. The salary range for these positions can top $90,000 at the high end and $42,000 at the low end. The outlook remains positive in this field because of increased enrollments in postsecondary schools. As chief administrator of area public schools, the superintendent is tasked with budgeting, managing teachers and staff, overseeing curriculum implementation and enhancing school and student achievement. A doctorate in education, educational leadership or related field along with years of progressive experience as an academic leader are requirements for a superintendent position. The annual salary ranges from a low of $133,000 to $196,000. School principals oversee the day-to-day operations of a single school. Schools could be public or private and any level from preschool, elementary, middle school and high school. The principal manages hiring and firing of personnel, implementation of educational policies, application of curriculum and enrichment activities. They work closely with teachers, parents and the community to ensure a safe and successful environment conducive to learning. A master’s degree in education or academic leadership matched with years of solid classroom experience are basic requirements for a school principal. The pay scale ranges from $86,970 to $129,480 annually, but the outlook is neutral because supply exceeds demand for this position. Assistant principals are assigned to one school and collaborate with school principals in administrative tasks to assess and enhance teachers’ skills, promote student achievement and ensure safety of the facilities. A master’s degree and some classroom experience are needed prior to switching to administrative positions. Assistant principals can gross $66, $66,697 to $89,406 per year. Schools may retain more than one assistant principal, depending on size of enrollment. Instructional developers may start out as classroom teachers. With a master’s degree, teachers can advance to instructional designer or one who is tasked with developing, testing and implementing curriculum materials. The job may also include teacher training, textbook election, curriculum assessment and measuring effectiveness through student testing. Curriculum developers specialize in one subject area such as math, science, reading or social studies. The average compensation for curriculum writers can range from a low of $42,000 to a high of $75,000. The outlook for this field is very positive as technology and educational reform will continue to pressure schools to improve their instructional design. Librarians manage the library resources of schools. They maintain records, initiate library programs, catalogue library materials and supervise staff. They ensure that students and faculty have easy access to resources. They may also take charge of reviewing and purchasing new materials for the library. They may also be asked to assist teachers in lesson plan development. The job requires a master’s degree in library science. Annual salary can range from $42,240 to $65,300 annually. The outlook is neutral for school librarians as the trend is to merge this position with media specialists. The main responsibility of media specialists is to manage the school’s technology resources including computers, multimedia materials and audiovisual equipment. The media specialist evaluates new technologies and recommends procurement. Maintenance and training of other personnel in the use of new equipment is under the purview of the media specialist. In some cases, the media specialist will include all the librarian’s responsibilities involving management of library resources. Depending on the size of the school, pay scale for media specialist can range from $40,000 to $65,000 per annum. Special education teachers are highly trained individuals who teach and supervise students with diagnosed emotional or physical impairment. They are the teachers who help prepare, implement and assess Individualized Education Programs. They may create specialized curriculum to meet the student’s IEP goals. Special education teachers coordinate with parents to monitor student’s progress and make transitional recommendations as needed. This field is highly specialized and teachers are required to have a master’s degree in special education and certified to teach at their level. Annual salaries range from $40,480 to a high of $63,500. This field will continue to experience average growth of 17 percent in the next few years. The responsibilities of school counselors extend from grief counseling to vocational guidance. The job includes student assessments to gauge abilities and proficiencies. In the early years, school counselors coordinate with teachers to monitor and identify development issues of students. They may also provide one-on-one career and financial aid guidance for students who are heading to college. School counselors usually hold a master’s degree in school counseling. They must also pass a licensing exam. Annual salaries for school-based counselors range from $38,740 to $65,360 annually. Speech language pathologists work with students who have been identified as speech-impaired. These impairments may include problems with articulating sound, pronunciations and second language issues. The work of speech pathologists spans a wide spectrum: from children with speech impediments due to physical and mental disabilities to gifted children who may have trouble being understood by others. Speech pathologists must have a master’s degree and must pass the state licensure examinations. The salary of speech pathologists average $66,920 per year. The outlook is positive for this field with growth expected to reach 23 percent in the next 10 years. Training and development specialists focus on planning, directing and coordinating teacher training programs to enhance knowledge, introduce new technologies and explain new policies. These specialists may not work directly with students, but they ensure that teachers can adapt new academic directives to their classrooms to enrich students’ learning experience. Candidates for this job need at least a bachelor’s degree with some practical know-how gleaned from classroom experience. Holding master’s degree in a related field will be an advantage and a prerequisite in larger institutions. The median wage of training and development specialists can range from $42,000 to $89,170 per year. This field will see an increase in demand because of the need to enhance teachers’ skills to cope with educational reform and technological changes. 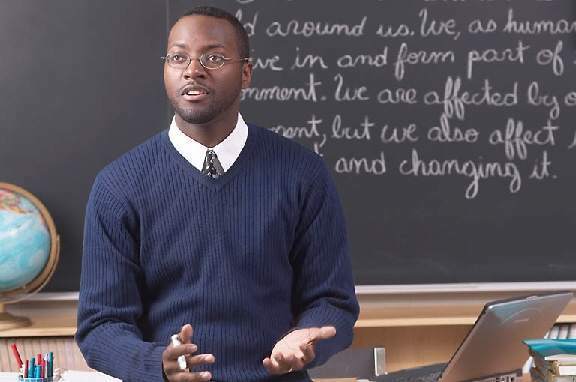 Teachers in secondary schools usually have a master’s degree in their field of specialization. They can specialize in one subject matter, which they may be enjoined to teach to classes in different levels. Aside from classroom instruction, high school teachers will also take charge of learning enhancement programs especially those that will help students choose a career path. They teach life skills and academic courses in public or private schools. The median wage for teachers is $53,320. The growth in demand for high school teachers can be attributed to mandated lowering of teacher to student ratios. This field will grow by 7 percent over the next 10 years. Adult literacy and General Education Development(GED) teachers work with youth and adults who need extra help with basic skills such as writing, reading, writing and articulting English. These teachers will assist students to earn their GED or equivalent high school diploma for nontraditional students. This remedial instruction may take place in a nontraditional setting such as community programs aimed at encouraging high school dropouts to obtain their GED and move on to college. The minimum requirement to get a job in this field is a bachelor’s degree with a teaching certificate. The average annual salary is $46,530. The outlook for jobs in this field is positive with demand rising by about 15 percent in response to a growing immigrant population. Middle school teachers may work in public or private schools, focusing primarily on sixth to eighth grade students as homeroom teachers or subject area specialists. Their mission is to help students transition from elementary school to the more stringent course requirements in high school. A bachelor’s degree may suffice to land a job as a middle school teacher as long as the candidate is certified in the subject area and grade level. The annual salary averages $51,960 or higher depending on the school and the teacher’s credentials. The outlook is positive with growth in the next 10 years expected to exceed 15 percent, which is better than the industry average. Elementary school teachers work with younger students from kindergarten to 5th grade. They prepare lesson plans based on the given curriculum. They instruct students in core courses and impart life skills to young minds. These teachers are required to have a bachelor’s degree at the very least. They must also be state-licensed and earn certifications for their area of specialty. The average pay of elementary school teachers is $51,660 with time off during the summer break when students are on vacation. This field will continue to grow at a rate of 17 percent, which is comparatively better than other fields. Growth will be fueled by increase in enrollment and a decrease in class size. Administrators of preschools and childcare centers have a daunting task of keeping very young children safe and entertained while providing exposure to the core learning areas of reading and math. They are responsible for hiring, firing, budgeting and interacting with parents. A bachelor’s degree is usually sufficient to land a job as administrator of a preschool or childcare center. However, there are certification and clearance requirements that must be hurdled prior to being allowed to work closely with children. The mean annual compensation for these jobs is $51,060. Growth in this sector is expected to be strong in the next 10 years due to demographic shifts. Self-enrichment teachers provide instruction on non-core subject areas such as music, foreign languages and art. They may generate their own curriculum or use one provided by their schools. The prerequisites for teaching these electives to elementary, middle and high school students are not as stringent as other teaching positions. The basic requirement is proficiency in the subject matter and teaching expperience. The average annual wage for self-enrichment teachers is $36,340, but the growth prospects in this field are tremendous. Demand is expected to expand to 21 percent over the next 10 years. This average is higher than most comparable jobs. As the job title implies, teacher assistants support the efforts of classroom teachers. They work under the supervision of teachers to provide extra attention to students who may need the help. They are not substitute teachers because their positions are more permanent than the former. The basic prerequisite for a teacher assistant position is graduation from high school. It may be given to college students as part of an on-the-job training program. Average wages per year are at $23,220. The demand for teacher assistants is expected to grow by 15 percent mostly in preschools, elementary and middle schools due to increased enrollments and mandates to reduce student to teacher ratios. Focusing on historically significant documents, curators and archivists collect, evaluate, catalogue and preserve these materials. They may engage in additional research and write academic papers to establish the significance of archival materials. A bachelor’s degree in library science or history is required to work as archivist for universities, colleges and museums. Some institutions may require a master’s degree before turning over historic materials to an archivist working in-house or on a consultancy basis. The average annual earnings for this job is $45,200 with demand expected to grow by 15 percent because of increased interest in genealogy and historical preservation. 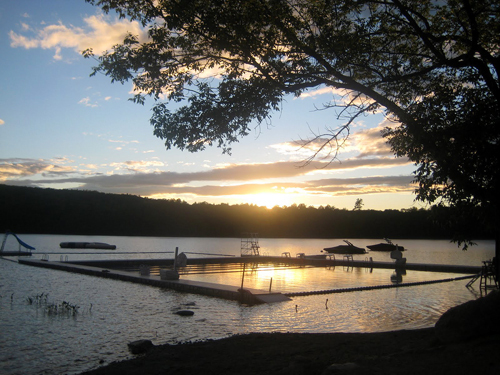 Next Story50 Most Amazing Summer Camps in the U.S.